Curious how wall street traders make over $100,000 a day? What if you could learn their secret strategies? 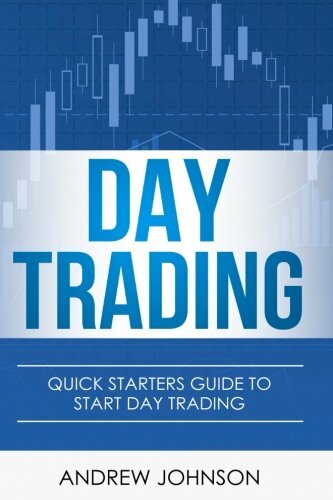 "Day Trading : Quick Starters Guide To Day Trading" is the type of book wall street traders wish was never released. It no longer has to be secret. Discover how to win and win big with day trading! Day Trading: A Beginner's Guide to Day Trading: Discover How to Be a Day Trading King AND Day Trading: The Ultimate Guide to Day Trading: Uncovering Day Trading Profit Making Secrets AND Day Trading: Strategies on How to Excel at Day Trading. This is more than enough information and strategies to get you started and successful at day trading. Studies show that barely more than 10 percent of all options traders display the type of mindset that will help them be successful in the long term. Inside you will learn not just what it takes to form the type of mindset that will lead you to success, you will also learn important tips that the best options traders utilize on a daily basis along with the mistakes that many traders of all skill levels fall into and how you can avoid them for yourself. You will also learn what a reliable options trading plan looks like and how to measure the metrics of your current system to ensure that it measures up. Inside you will find a detailed breakdown of many of the most common patterns that are the secret to success for a wide range of day trading strategies whether you want to focus on the 1-minute chart, the 5-minute chart or even the 4-hour or daily charts. While many day traders focus on making as many trades as possible, the truth is that quality is just as important as quality, if not more, so and Day Trading: Quick Starters Guide To Day Trading ( a trio bundle of Andrew Johnson's Day Trading masterpieces) show you how to only find the best trades while blocking out the rest of the market's noise. The difference between liquid and illiquid options and which you stay away from more often than not. Why it is important to consider historical volatility before you make any moves. Which metrics you are going to want to consider in order to determine if your trading plan is a dud or a financial stud. Ten different trading strategies for all seasons and market moods and how to get the most out of each one. Several specialized and advanced trading techniques and when to use them for maximum profit. If you want to master day trading then grab your copy of this blueprint of day trading!